The Daily Transcript pays tribute to San Diego County's Top Attorneys. 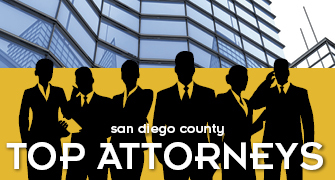 In this report, you will find out who was chosen as San Diego's cream of the crop in practice areas that include Corporate Law, Intellectual Property, Real Estate/Construction, Labor/Employment, Criminal and Municipal/Government. View the finalists here. If you were the principal at an existing firm, how would you ensure top employees are in it for the long haul? While finding jobs for law school graduates may have been difficult in previous years, a recent New York Times article points to several studies indicating a possible uptick in law school enrollments and job placement after graduation, indicating that competition for legal talent may be on the increase. On July 10, 2015, San Diego Superior Court Judge Joel M. Pressman ordered UC San Diego to set aside its panel findings and sanctions made against an undergraduate student accused of sexual misconduct in a campus disciplinary hearing. Judge Pressman, ruling on a petition for writ of administrative mandate filed by the accused male student, held that the hearing had violated the accused student’s rights to due process and was unfair. Kennedy & Souza APC (K&S) is a full-service civil litigation law firm whose attorneys have decades of experience in a broad spectrum of practice areas, including construction, product liability, general civil litigation (contracts and torts), business transactions, business litigation, real estate, workers’ compensation, corporate counseling, professional liability, employment, family law matters, and estate planning (trusts, wills and estates). Thus, while K&S originated as an insurance defense firm, it has grown far beyond its origins, although it is proud to have maintained a strong commitment to insurance carriers and their insureds with offices in San Francisco, Los Angeles, Orange County and San Diego. We sat down with Membership Director Andrea Lopez-Velarde to talk about how Elite Lifestyle Management — San Diego’s premier members-only lifestyle management and concierge firm — offers unique packages catered to law firms whose focus is on providing impeccable service to the clients they represent. CaseyGerry attorneys continue to rack up the accolades, with partners David S. Casey Jr. and Robert J. Francavilla recognized as among “California’s Top 25 Plaintiff Lawyers” by the Los Angeles Daily Journal and San Francisco Daily Journal -- leading California legal publications. Welcome to the 2015 edition of Top Attorneys. 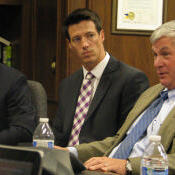 This program pays tribute to San Diego County's legal cream of the crop. It is the culmination of a lengthy peer voting process that began in February with the announcement of a call for nominations. San Diego County lawyers were asked who among their peers -- with whom they had professional experience -- were worthy of recognition. The influx of millennials into the workforce has prompted companies in a variety of industries to shift to more open offices.